For example, the meteorite in Russia was only 62 feet wide but still exploded over Earth with the force of 40 Hiroshima-type atom bombs. Imagine that over a big city like New York. Imagine that over millions of people. 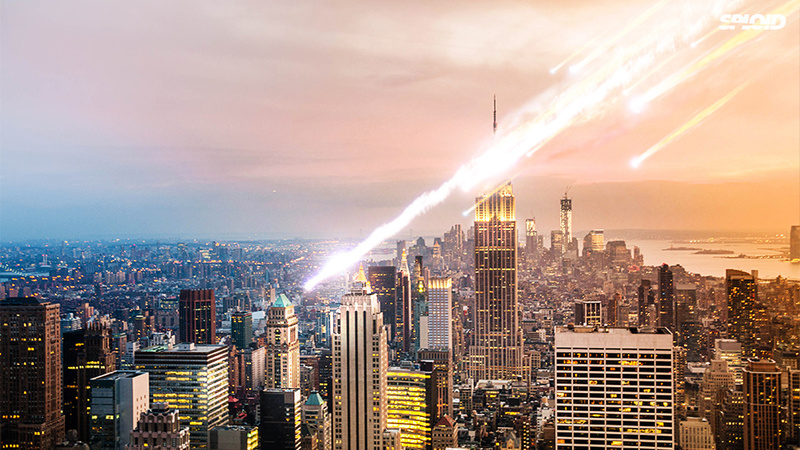 These smaller asteroids might not be apocalyptic but if any of these smaller meteorites hit Earth near a large population of people, the damage would be catastrophic. So now that we’re looking smaller, we’re realizing just how many smaller asteroids are around us and able to hit us. The research team looked at 20 years of data from infrasound sensors originally used to detect nuclear bombs and found 60 asteroids up to the 20m variety to blow up on Earth. That’s a helluva lot more than we thought. We have completely underestimated the risk of smaller asteroids. And we’re only beginning to catalog them. Using old methods like basic telescope data had estimated things like the Russian meteorite happening once every 150 years. The data that the new team has dug up shows occurrences every 30 years. It’s just because they happened over the ocean or in remote parts of the world that we don’t know about them. The research team estimates the strike rate of asteroids as two to 10 times as likely than before. So are we just screwed? Is this what will end Earth? Are we going to where the dinosaurs went? We don’t have to be. Brown believes that we can build systems to find these smaller asteroids days and weeks before they hit. We have technology! We can figure out where and when they’ll hit us. So let’s hope our governments can get their acts together and implement such warning systems. It’s our best chance.